For the Piccinis, kart racing is part of the family DNA. At the age of 54, Alessandro is still very involved in the sport after an incredible career as a Driver for over 30 years. Triple World Champion, European Champion, and multiple Italian Champion, his record wins respect. His technical talents always make him a sought-after technician in the field. 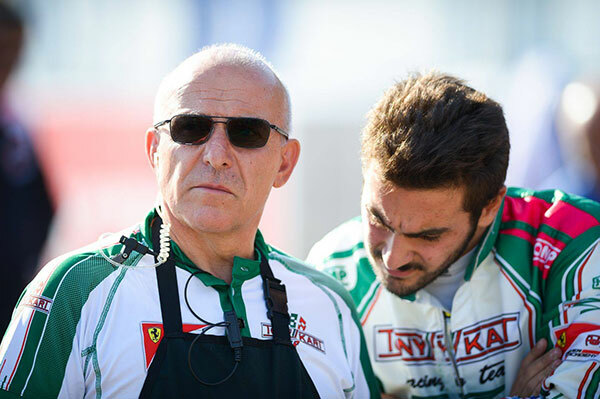 However, we now see him in the factory Tony Kart awning as a mechanic for his son Alessio. It happened once, in Las Vegas in 2012 in KZ2. I think it’s a rare example of a father and a son competing on the track. He was a little faster than me and in the Final I did not know it was him coming up behind me. I thought he was a competitor like any other, so I closed the doors a bit and he touched the barriers. And then I saw his mother making big signs from the stands and I understood. He could not overtake me, but I never wanted this situation to happen again, it was too dangerous! Certainly. Competition is for us a way of life first and foremost. This allows us to stay very close and have a beautiful father / son relationship. I am happy to be able to share my experience with Alessio. My wife Gianna is an essential part of this amazing story. All three of us find our balance by travelling from circuit to circuit all year round, even though his mother is more attentive to her son’s races than to her husband’s!